Hi, I’m Viv Micic! I’m a host on the SYN’s arts and culture radio show Art Smitten (aired live on SYN Nation) and have hosted and been a crew member on SYN’s TV show 1700 (which is “like Rage” but way cooler!). I’m a movie nerd, and I also love writing and spending time with my friends. Recently, I’ve read a few blogs where people have introduced themselves to their readers through a self-interview/self-questionnaire sort of thing. I think it is interesting, and decided to give it a go myself! I’ve answered a range of diverse questions, which I hope you all enjoy! If I were another person, would I be friends with myself? Yes, because I am a loyal person and I keep my friends very close to my heart. How many countries have I visited? At this stage, I have only been to four countries: Australia (duh! ), United Arab Emirates (I visited the Dubai airport during flight stopovers, so I hope this counts! 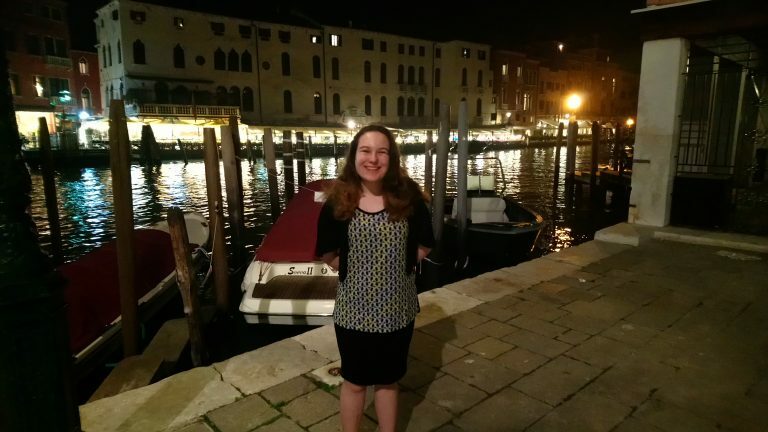 ), Italy (where I spent two weeks last year getting a first-hand experience of Italy and its beautiful languages, cultures and more) and the Vatican City. I hope to add more wonderful countries to this list in the future. I really hope to visit Canada and France – they look so beautiful in the pictures I’ve seen, and surely more beautiful in real life! If I were an ice cream flavour, what would I be and why? I have actually answered this question before in a conversation, but I can’t remember what my original answer was! Now, my ice cream flavour would be chocolate chip and mint, because it is such a refreshing flavour and one of my personal favourites. Plus, I’m sure chocolate chip and mint would make a great spider (fizzy drink with a scoop of ice cream floating on the top)! In my life so far, I regret not standing up for myself in many situations. This also applies to standing up for other people who may have been put down for others. I also regret not asking for what I wanted, like, for example; a second chance at an audition that I know I didn’t do very well in. I now have more courage than I had in the past, and try not to make the same mistakes! What are three things that make me happy? Watching movies that I enjoy. Watching fireworks light up the night sky. If I could live anywhere in the world, where would it be? I’m not really sure about this at the moment. Toronto seems like a great city with an awesome vibe, although I’ve never been. My dad went when he was younger and told me that he had a great time there with his friends. I still hold on to the dream that I had when I was younger of becoming an entertainer of some sort. Being a volunteer at Student Youth Network has given me the opportunity to do this on both TV and radio. *This question was originally “What would you like to be when you grow up?”, but as I am already considered an adult, “What do I want to be in the future?” suits me better. What is my zodiac sign, and do I believe in it? My star sign is Cancer, but I am born on the cusp of Leo (July 20th). I believe in zodiac signs because I know that there are a blend of some Leo and Cancer traits in my personality. What is the first thing I notice about people? Usually, their smile. If I see someone with a smile on their face; I feel happy and think that they are a friendly person. If you see me, be sure to flash a smile my way! Does my name have a special meaning? Yes. Although I prefer to be called Viv; my name is actually Vivien, which comes from Latin. My name means “full of life”, which I think is true about myself. What are some of my favourite quotes? Who are some of my favorite YouTubers? YouTube is home to such a diverse range of content, and my (shortened) list of favourite list of favourite YouTubers make awesome videos that cater to many people’s tastes. If you’re looking for some cool Youtubers to watch, check them out! Lilly Singh is a Canadian YouTuber of Indian heritage who started making funny videos after a battle with depression while she was in University. She now lives in Los Angeles and has collaborated with many celebrities including her idol Dwayne Johnson, Will Smith, John Legend and more! Cyprien is a French YouTuber of Romanian descent who began making videos for fun. His videos are very humorous, and most are #relatable for me and my friends. Norman is also a French YouTuber, who is great friends with Cyprien. Most of Norman’s videos fall into the comedy genre with Cyprien’s, but have their own unique style. *These YouTubers make content in languages other than English. Who are some of my favourite actors and actresses? There are so many! For the purpose of this self-interview/self-questionnaire, I will try to keep my list short and sweet! Actors: Asa Butterfield, Tom Holland, Dwayne Johnson (whose acting breakout happened on Star Trek: Voyager), Robin Williams (Rest in Peace) and Tom Hiddleston. Actresses: Chloe Grace Moretz, Emma Watson and Lupita Nyong’o (she is such an inspiring actress!). Yes. I have an orange tabby cat named Nacho, who is very playful and has a big “purrsonality”. Before we adopted Nacho from The Lost Dogs Home, I used to have a long-haired cat called Mat (I initially named him Matilda, but later found out that he was a boy. His gender doesn’t matter because the love in my heart for him never changed!) who passed away in 2012. 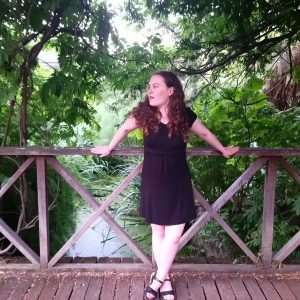 Thank you for reading my self-introduction post! I hope you enjoyed this post as much as I did when writing it!